The Durham originated in the North East of England. It was later breed with Teeswater cattle to produce the Shorthorn. 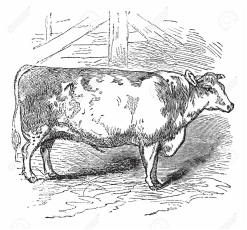 The Shorthorn was used for both beef and dairy until it was separated into two different breeds. Click the breeds for more information.